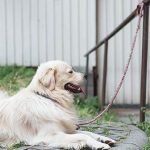 Your dog may be in need of a stroller if they are unable to accompany you on long walks, or if they repeatedly get tired halfway through your trek. Dog strollers are a great way to have the companionship of exercising together, without putting strain on them to keep up with you. Especially great for elderly or injured pups, dog strollers are fantastic for giving your pet the experience of fresh air, while keeping them safe, secure, and energized. Post-Op. If your dog has recently been injured or had surgery that’s left them less mobile than usual, a doggy stroller can help find some normalcy by continuing your daily walks. They’ll be able to enjoy walks in nature without the risk of hurting themselves further. Elderly. 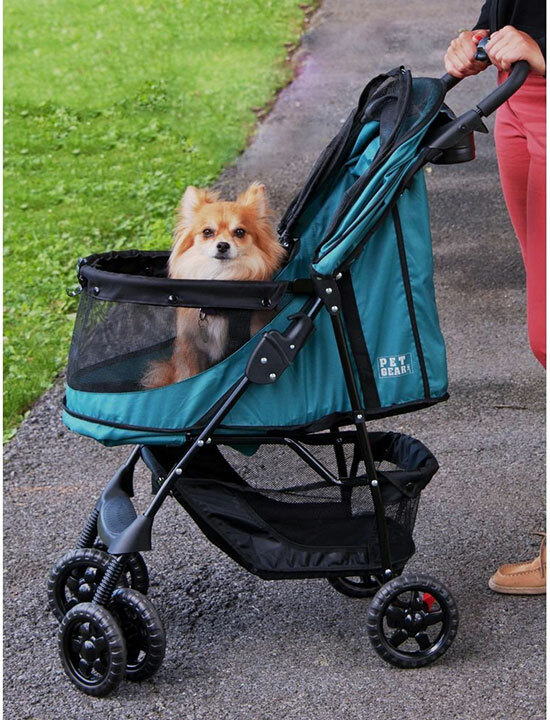 Dogs that are aging and unable to walk for as long as they’d like may benefit from dog stroller use, as they can rest for the rest of your walks in the stroller if they get tuckered out. 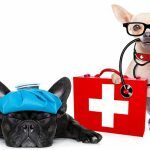 They will still get to enjoy the fresh air and sunshine and quality time with you without hurting their joints or becoming overworked. 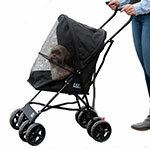 A good dog stroller should have plenty of space relative to your dog’s size. The cabin compartment should give them room to sit and lay down or curl up comfortably, while not being so large that they feel insecure. The interior of the cabin should have a soft, padded bottom for ultimate comfort during your strolls together. 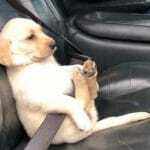 Dog strollers, depending on where you’ll be taking them, should have added safety features such as safety flags or reflective lining for maximum visibility. They should also have easy-lock brakes on at least two of the three to four wheels. The fabric should be durable and be able to act as a protectant from other dogs that may cross your path. 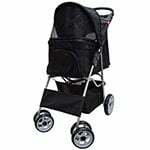 Dog strollers are different from dog bike trailers in that they have to be pushed. You need to be sure the stroller you choose has large enough wheels for you to easily push it over the grass, pavement, or trails you plan on exploring with your pup. 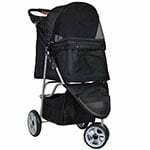 Your choice of dog stroller should be easily collapsible and fold relatively compact for storage and transport. If you’ll be going from the car, to the trails, and back, you’ll want a stroller that’s lightweight and easy to tow around and store. If you and your dog travel often, you may want to consider purchasing a dog stroller with multiple uses. 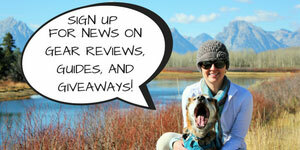 Some easily convert into travel kennels or bike trailers, for example. 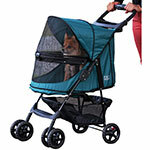 There are even stroller options for owners with multiple pets! 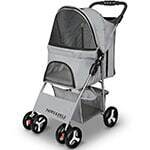 The Paws & Pals City Walk N Stride 4 Wheeler Pet Stroller comes in five available colors and is made of quality-certified aluminum and nylon materials. A retractable waterproof rain hood protects your dog from rain, while the ventilation side and top panels keep bugs away. Featuring a seatbelt leash, rear security brakes, two cup holders, a hooded peak top window, and large undercarriage storage compartment for supplies and treats, this pet stroller is a great option for small dogs weighing up to 13.6 lbs. The Pet Gear No-Zip NV Pet Stroller features easy-locking latches instead of zipper entry to eliminate sticky or uncooperative zippers. This model has a panoramic view for your dog with a three-position canopy top to let in as much or as little sunlight as your dog likes. With 12” Air Ride tires, the ride is smooth and bump-free on any terrain. An interior bolster bad and weather cover are included with purchase. 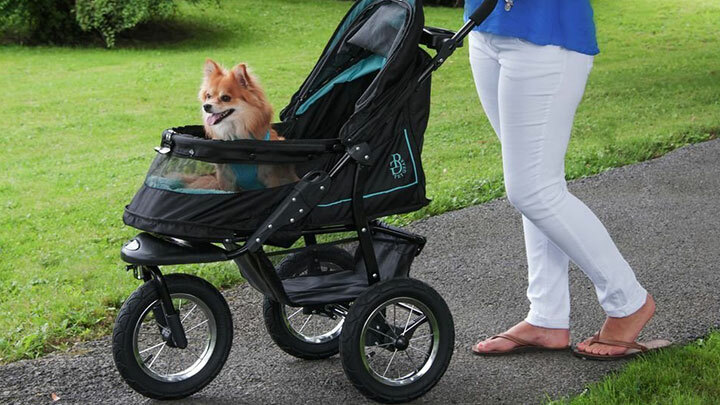 This pet stroller fits dogs weighing up to 70 lbs., making it suitable for just about any size dog, as long as you can comfortably push them along! This Paws & Pals 3 Wheeler is a quality-certified lightweight pet stroller suited for small dogs weighing up to 13.6 lbs. 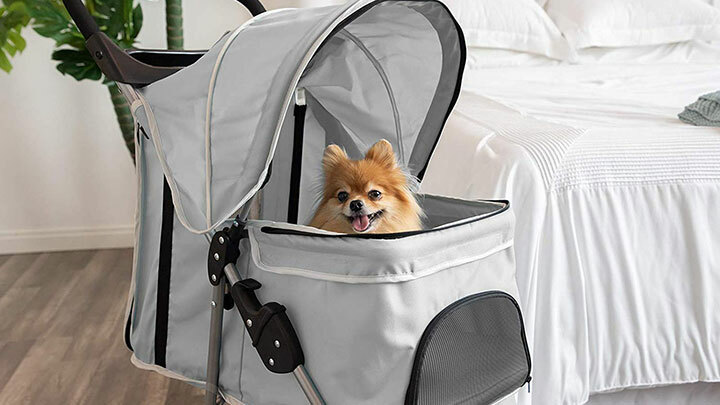 Constructed with an aluminum frame and breathable ventilation mesh screen windows, this stroller will keep your dog safe on walks. The retractable plastic waterproof rain hood keeps them dry in inclement weather, while the mesh screens keep mosquitoes at bay. 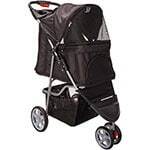 Featuring two cup holders, a seat belt leash for safety, rear security brakes, and single-hand fold for easy storage, this stroller has it all. The VIVO Four Wheel Pet Stroller supports dogs weighing up to 30 lbs. in it’s large protective pet compartment. Multiple zipper points allow for easy access to your dog from all angles. 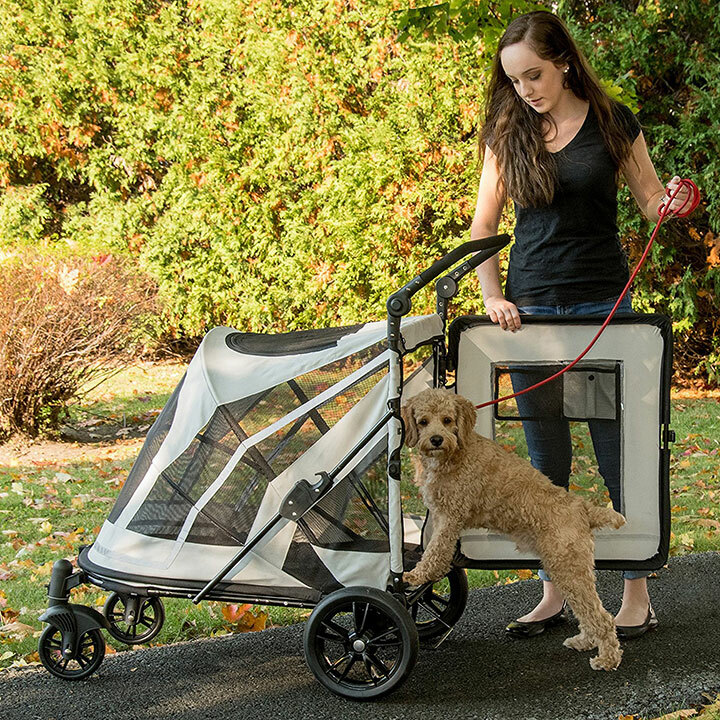 With open mesh window panels, this stroller lets your pet enjoy airflow on your walks. The simple release buttons on either side collapse the stroller into a portable, compact form. The back wheels feature locks to keep the stroller stationary when you need to take a break, and the large undercarriage storage compartment lets you take anything you may need for the day. The medium-sized VIVO Three Wheel Pet Stroller supports pups up to 30 lbs. easily. Large mesh panels on all sides allow proper visibility and ventilation for your dog, while the multiple zippered front panels allow easy loading and unloading. The top mesh panel lets you keep a steady eye on your pup. It features two cup holders and a large undercarriage and smaller front storage pocket. 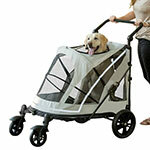 Another great Pet Gear stroller is the Happy Trails No Zip Pet Stroller for dogs weighing up to 30 lbs. It’s made with 600 denier water-resistant nylon and adjusts to 40” height. The easy-locking, latching entry makes for easier access than traditional zippers. This stroller features panoramic view windows for high visibility. Front shock absorbers and 6-inch wheels make for safe and easy walking. One con would be that this model does not include a weather protection cover. 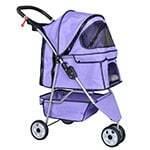 The BestPet Pet Stroller/Dog Cage comes in five available colors and supports small to medium sized dogs up to 30 lbs. Featuring front and back accessible entry ways, your dog can have plenty of visibility on all sides. A large storage compartment under the carrier fits a purse, food, water, and treats and anything else you may need on your walks easily. It features a cup holder and flexible nylon covering. 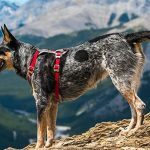 The zippered top allows your pet to view the world around them safely. 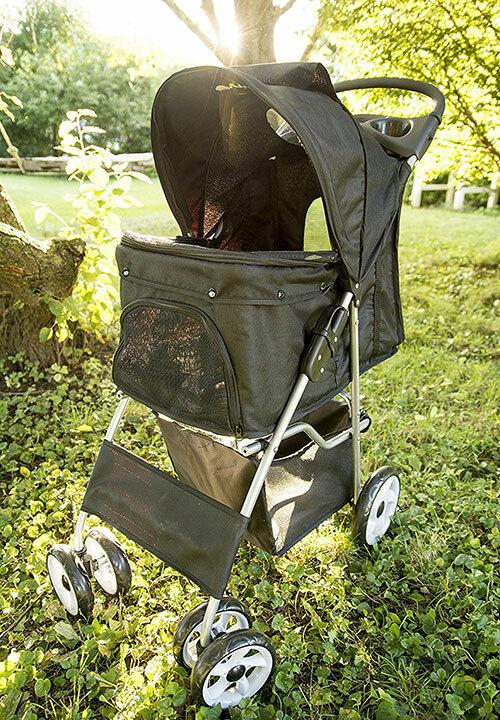 The Pet Gear Ultra Lite Travel Stroller is suited for small pets up to 15 lbs. The lightweight, extremely portable design is only 9 lbs., making for easy transport on trips. Large, six-inch wheels make for easy and smooth strolling. 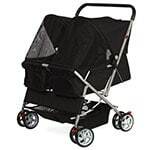 A removable interior liner makes for easy cleaning between trips, and the stroller folds into a compact size in seconds. 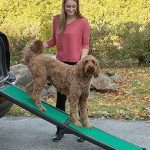 At 38” tall, the height is generous for taller owners to be more comfortably pushing their dog along. The Paws & Pals Double Dog Stroller is made to fit two small sized pups side by side. With roomy design and a large storage compartment undercarriage, you and your two toy dogs will have enough room for anything you can think of. The stroller is able to carry up to 55 lbs. in weight, including dog weight and other items. 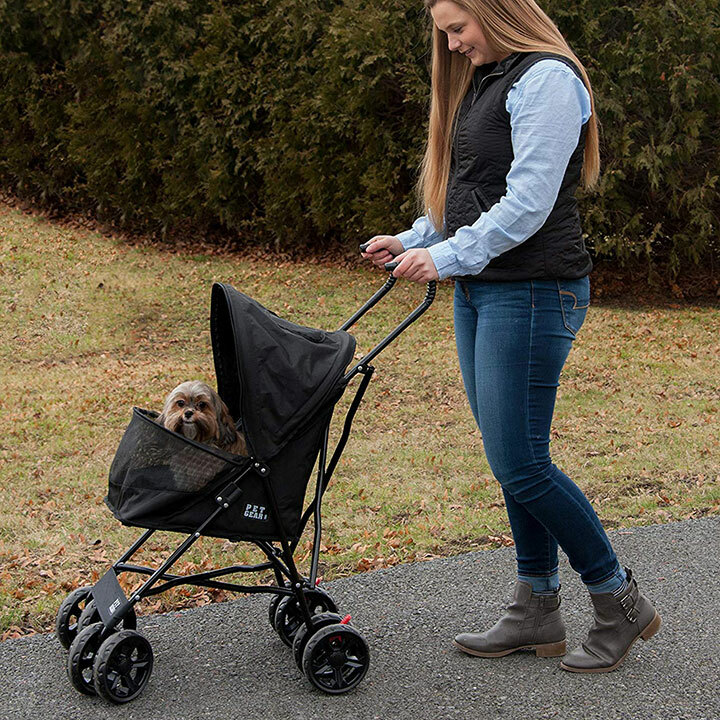 Easily foldable, and lightweight, this stroller protects your dogs from the elements and gets them off of their feet while giving them the freedom to enjoy nature as it’s intended. 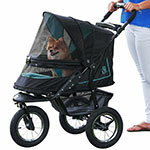 As long as they get along good in close quarters, this is a great stroller option for multi-dog owners.